Since that i have been working with R&D at Multilift Oy (gears for trucks) for 12 years and finally had my own engineering company (Insinööritoimisto Hannu Korhonen) since -92 designing more or less everything "between the earth and sky" from black steel to reinforced plastics. 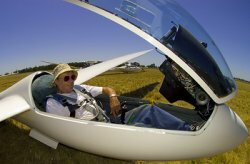 Gliding is of course my main hobby since -68. I won finnish championchips in 15m -91. I got my own PIK 20D in 1982. It was followed by an LS 6b 87-06 and am getting an ASG 29 with Turbo in january 2007. These small items offered to you are my hobby and are keeping me in touch with foreign languages and the gliding world.